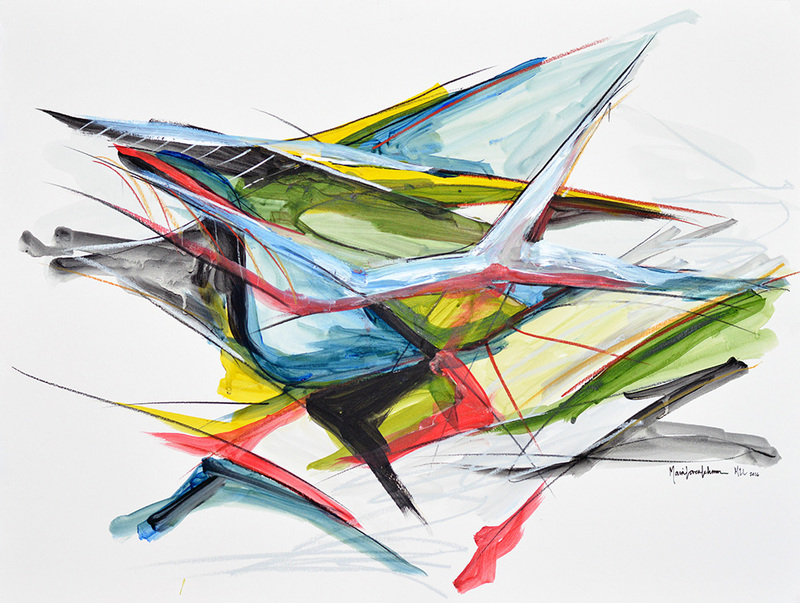 Angular Motion is an architectural concept design created with heavy body acrylic paint, sketching crayon, and compressed charcoal. This concept design is painted on 18″ x 24″ archival 140 lb. paper. This is a one-of-a-kind original piece. This painting uses loose painting techniques to explore an architectural design concept for an urban corner site. As the painting technique reveals, there is a push and pull that works vertically as well as horizontally. By using color shading to hint at a volumetric interpretation of form, the building wants to complete itself even though it exists in an extruded state. Within this work, geometries seem to move as axial alignments are explored which allow the architectural design concept to radiate dynamically.